Well done to Helen King for coming runner-up in the Wellington Open Singles at the Hutt club on Sunday. 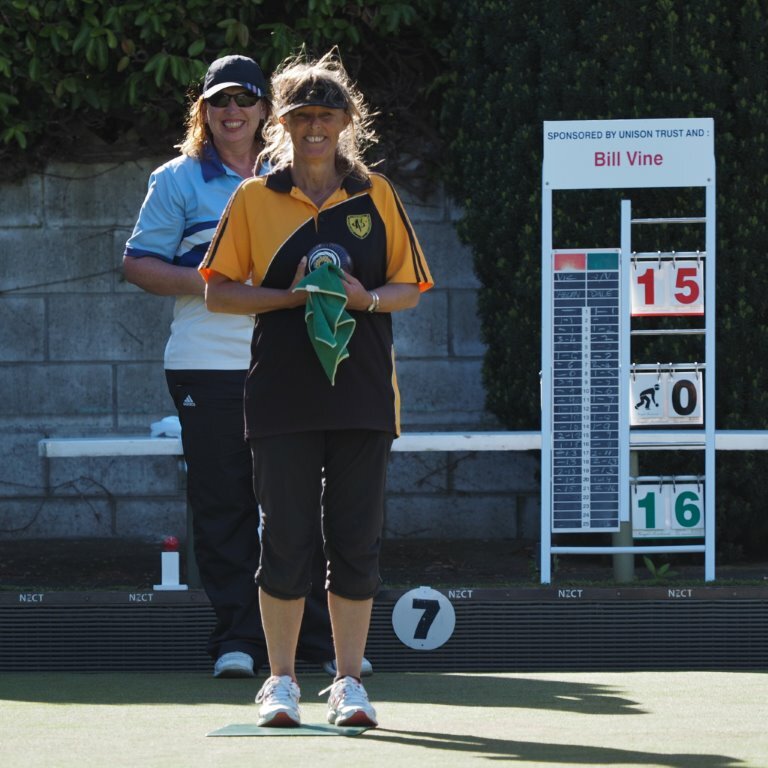 Helen went down in a good final considering the blustery conditions 15-21 to Dale Rayner (Johnsonville). 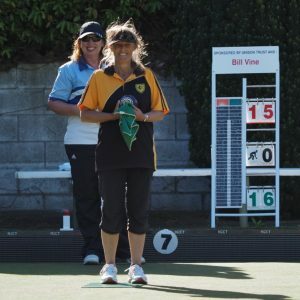 Helen’s second place puts Victoria at second place in the early standings for the Bowls Wellington Womens Club of the Year. Helen earlier had to account for daughter and mother Samantha (Kapiti Coast) then Leeane Sweeney (Wairarapa) in the quarterfinal and Semifinal. The best of the Victoria men was Barry O’Brien who fought his way through to the quarterfinals before going down to eventual champion Adam Turner (Silverstream) 12-21. None of the three Victoria men who made the semifinals last year even qualified this season!